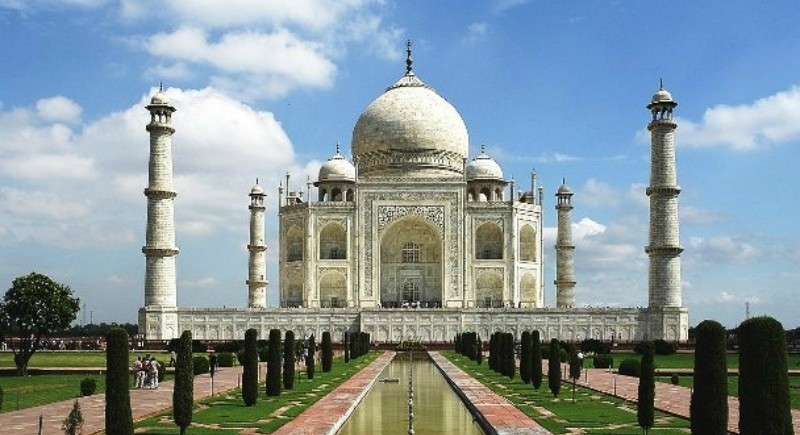 Agra, August 9: With the fight to protect Taj Mahal from the disastrous pollution bracing the monument, the charm and charisma encompassed by the iconic site still attract thousands of people. In a new development, the Archaeological Survey of India (ASI) raised the entry fee to visit such historical monuments. So now, the visitors will have to pay extra while visiting the Taj Mahal and other monuments. While domestic visitors will have to pay an extra Rs 10, the foreign tourist will have to pay Rs 100 more to visit Taj Mahal. As per the notification of Ministry of Culture, foreign tourists will now have to pay Rs 1100, which earlier was Rs 1000, including Rs 500 toll tax collected by Agra Development Authority (ADA). The domestic tourists will pay Rs 50. Apart from this, the South Asian Association for Regional Cooperation (SAARC) countries' visitors will now pay Rs 540, including Rs 500 as toll tax to visit the monument. A tourist visiting Taj Mahal said that due to the continuous hike in the ticket price, less number of tourists is visiting monuments. In the last two-and-half-year, this is the second hike in the entry fee at Taj Mahal. Earlier, the ASI increased the entry fee for its protected monuments in 2016.